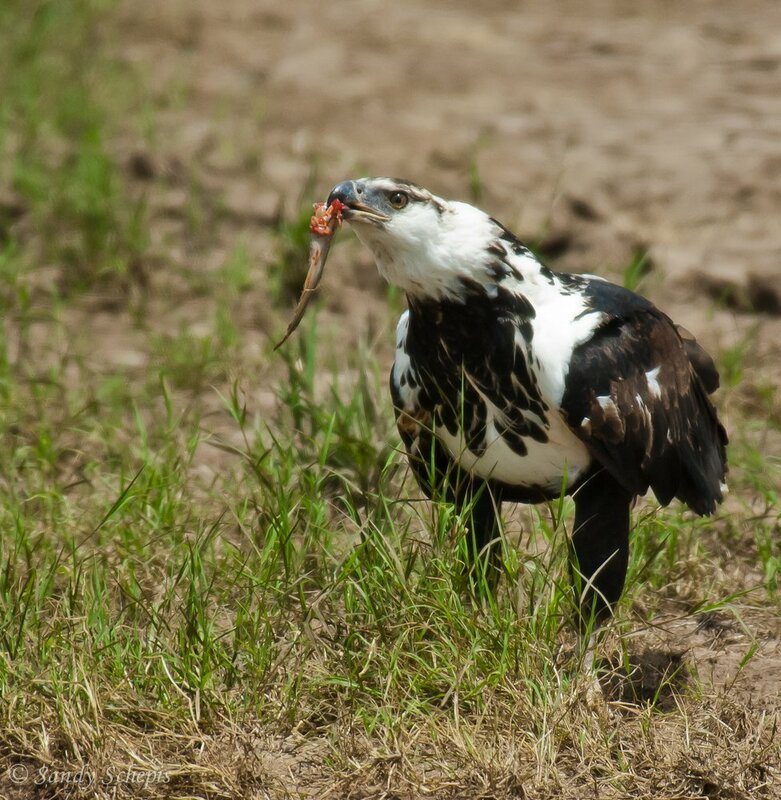 A tawny eagle (thx to Rainbirder) and a fish eagle, both with their respective prey. 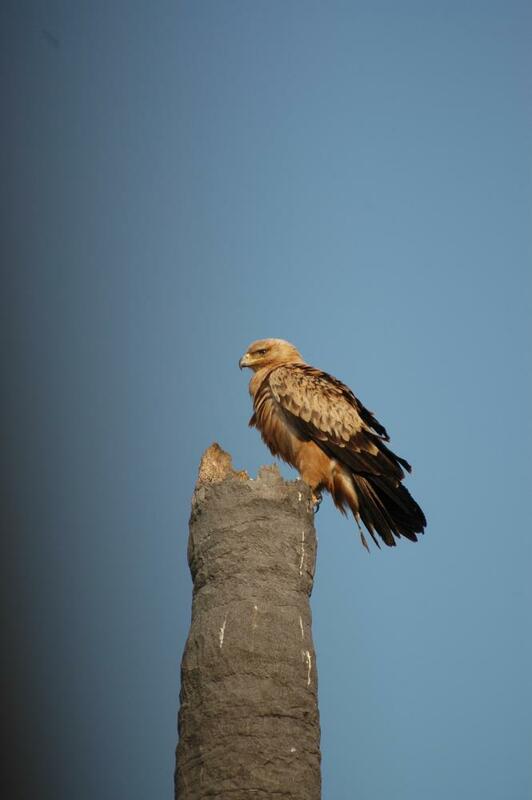 I think the first image is of a Tawny Eagle. 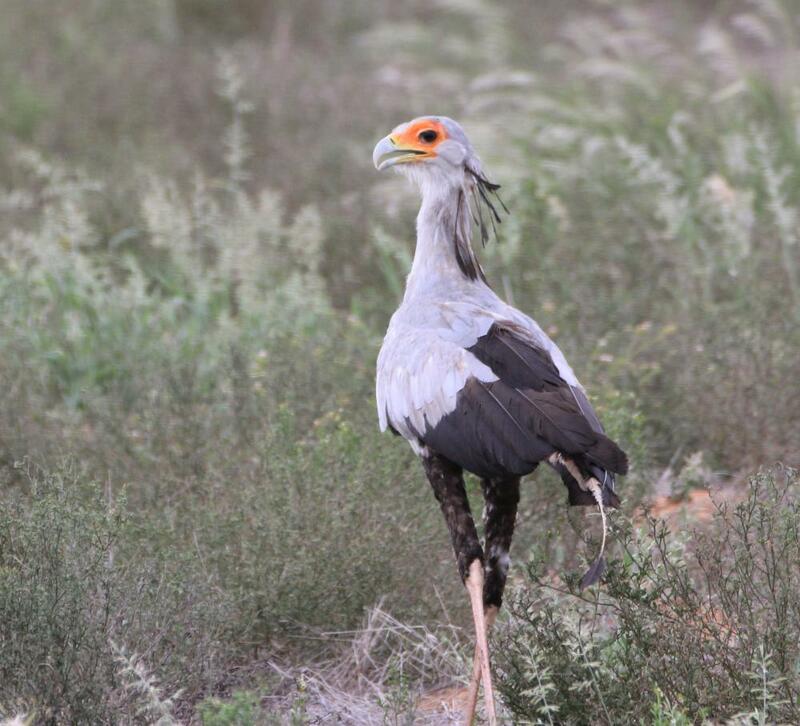 All the Snake Eagles (and Bateleur) have bare unfeathered tarsi (lower legs) whereas the true eagles have feathered tarsi (though sometimes the feathers aren't that obvious). I looked back in my files and you're right. It is a Tawny. I posted without checking. I'll go in and change it. 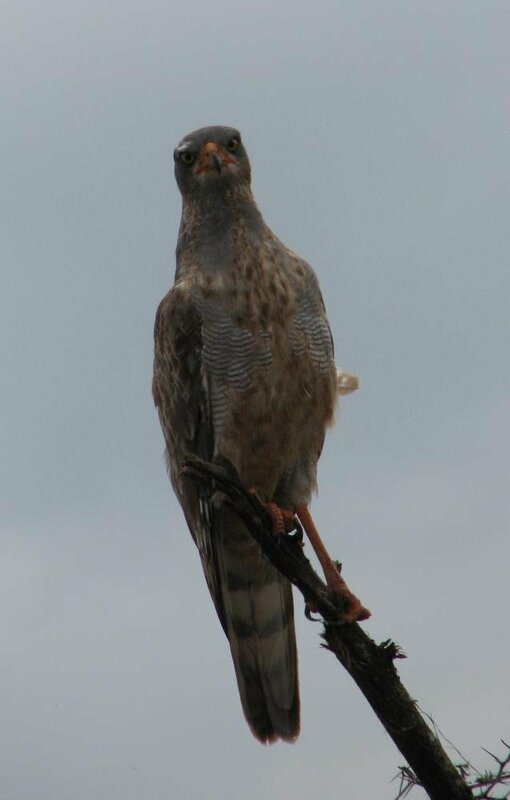 An immature Eastern Pale Chanting Goshawk perched on a Euphorbia in Tsavo West, Kenya. .. irksome, irascible, grouchy, ill-tempered and always on the edge of a fight - .. snarl! So here goes, my predator bird. A Brown Snake Eagle was minding his own business when a Fork Tailed Drongo appeared and started bombarding him to get him to leave the area. Have only recently started to get into birding, so sometimes I'm a little challenged with ID-ing them. Both of these were taken earlier this month in Sabi Sabi, South Africa. The next one I'm struggling to ID, as the barring goes all the way up the throat, but the eyes aren't yellow ???? Anyone? I'm not a birder, so excuse my ignorance if I get it wrong. 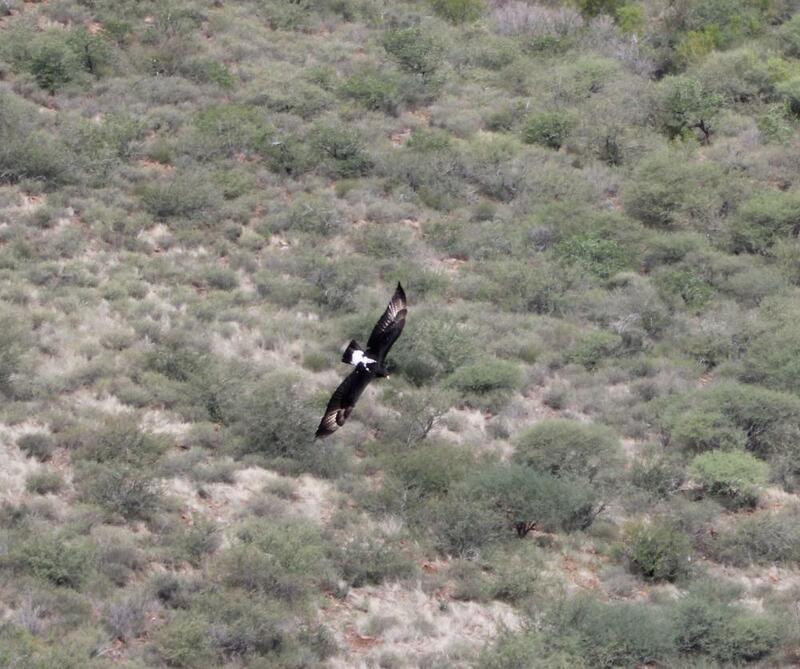 The first is from Western Etosha and the second is a black eagle (so I am told) from Grootberg, Namibia. The pic is from my front porch of our bungalow. It was riding the up currents in the valley below us. @@bushmaniac - I would make the second one a sub adult Ovambo Sparrowhawk based on the white eyebrow that can just be seen in your photo. Nice images of Ovambo Sparrowhawk!!! @@Panthera Pardus thanks for the confirmation. I had been told that before, but wasn't sure if the person was correct. I am not a birder, but love photography of any animals. I will need to work on my birding skills. Thanks again. A rare sighting indeed, still have to see one. @@Rainbirder. Thanks for the identification - I didn't realise they weren't so common. As I mentioned before, I guess I'm just really lucky in what wildlife decides to come and say hello when I'm in the bush! The photos were taken on different days and in different parts of the Sabi Sabi reserve earlier this month. Sorry, only able to get on ST on my phone and didn't scroll up far enough - thank you @@Panthera Pardus for your help! 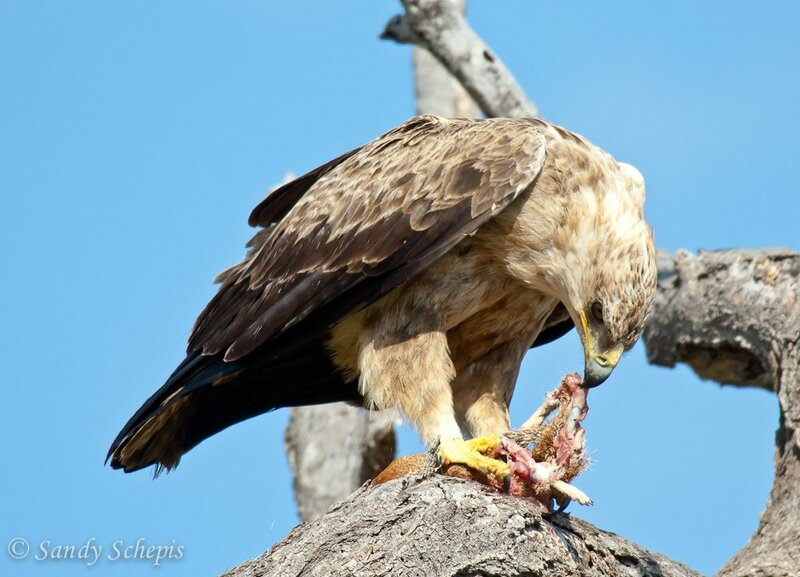 Tawny eagle, Hwange. Waiting for the cheetah to finish his meal.